If you are looking for a more youthful appearance, you may consider skin tightening treatment at Canyon Laser Skin Care in North Vancouver. Laser skin tightening treatment improves elasticity, tautness and tone of the skin. 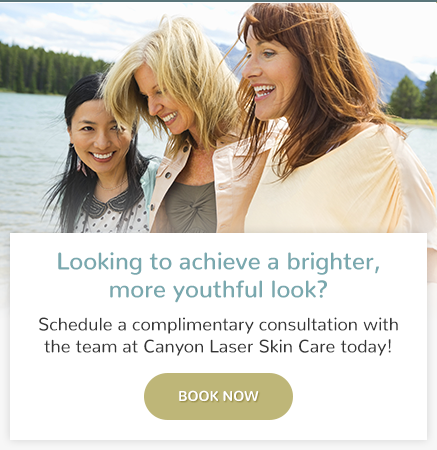 What skin tightening technology do you use at Canyon Laser Skin Care? We use Skintyte II which uses advanced Broadband Light technology to effectively and comfortably treat any area of the body where improvement is desired resulting in a firmer, more youthful appearance. This groundbreaking technology is used to selectively heat the dermal collagen deep in your skin while at the same time cooling your outer most layer of skin, providing our patients with a safe and comfortable procedure. Who can get skin tightening treatment? What areas are most commonly treated? Safe for all skin types, Skintyte II can effectively tighten and tone sagging skin without surgery. Most commonly treated areas are the face, neck, abdomen, arms, thighs, chest and knees. Skintyte II is a safe and effective treatment for women and men who have loose skin resulting from weight loss or aging skin. Skin tightening is also suitable for women who have loose skin resulting from pregnancy. How many skin tightening treatments are required to see results? We generally recommend that you receive three to five treatments for optimal results. What other treatments might I consider along with skin tightening? Combine your skin tightening treatment with Microdermabrasion, IPL Photo Rejuvenation or HALO Fractional Laser Resurfacing for even greater firming and skin perfecting results. The staff was very pleasant and helpful. This was my first time having a microdermabrasion and I was a little nervous, but the aesthetician talked me through everything she was doing and put my mind at ease. I’m extremely satisfied with the results of this procedure and I am looking forward to my next appointment.